Just over a year ago, the Institute for Security Studies (ISS), in partnership with the University of Cape Town (UCT) and the Seven Passes Initiative, began an innovative three-year positive parenting project in Touwsranten in the Western Cape. The project is testing whether four evidence-based parenting programmes can change the whole community’s approach to parenting and in doing so, reduce violence. The project promotes a positive approach to parenting, which should reduce child maltreatment, parental stress and, in the long term, violence. This work complements that of the World Health Organisation’s Parenting for Lifelong Health Unit (PLH). PLH is currently conducting randomised controlled trials of the same four parenting programmes in several countries in Africa and South East Asia. ‘The partnership between a university, a policy organisation and a community-based organisation is a powerful combination. We bring a range of networks, knowledge and skills to the table and we manage the process very carefully as a team,’ says Chandré Gould, Senior Research Fellow at the ISS. ‘I am not aware of any other research project that has done several waves of community-wide surveys about parenting, child behaviour and the effects of contextual factors, such as intimate partner violence, substance abuse, and parental health and mental health on parenting and child behaviour in South Africa,’ says Gould. As a result of the work in Touwsranten, the largest employer in the area – a commercial vegetable farmer – invited the Seven Passes Initiative to deliver the parenting programme to his staff during working hours. This enables the programme to reach working people, and the farmer views the parenting programmes as a long-term investment in his workforce. Workplace delivery of the programme is an innovation that may enable scale-up and new ways of engaging the private sector in violence prevention initiatives. One of the major challenges facing non-governmental organisations (NGOs), governments and the PLH is how to roll-out effective programmes to achieve greater impact. A second ISS project tackles this question. 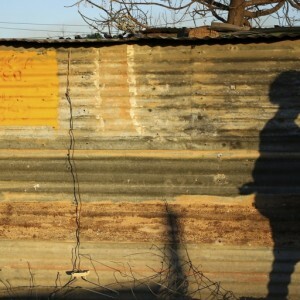 The ISS and the United Nations Children's Fund (UNICEF) established a dialogue forum in South Africa where academics and NGOs involved in developing and testing violence prevention programmes can interact with the government departments who have a mandate to prevent violence. The forum offers a platform for sharing information, building relationships and collective planning to realise the investments being made into programme evaluation. The dialogue forum has opened channels of communication between NGOs, academics and officials from the Departments of Planning, Monitoring and Evaluation, Women, Social Development, Basic Education and the National Treasury. This has already led to the identification of gaps that hamper programme scale-up and which the forum will seek to address through effective multi-sectoral communication and planning.